Here’s a fun little project I did a little while ago. 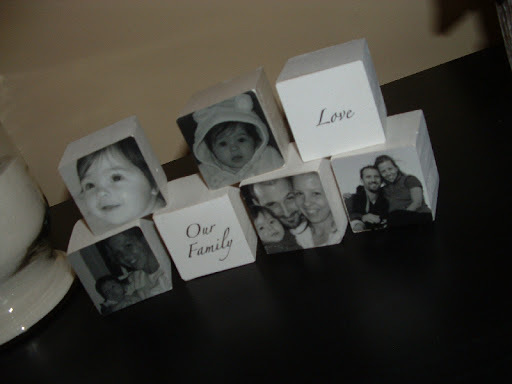 I bought some pre-cut 2″ wooden cubes from Michael’s (a craft store), painted them white, and decoupaged photos onto the blocks. For two of the blocks, I printed out words and decoupaged them as well. It’s a unique way of displaying fun little photos!